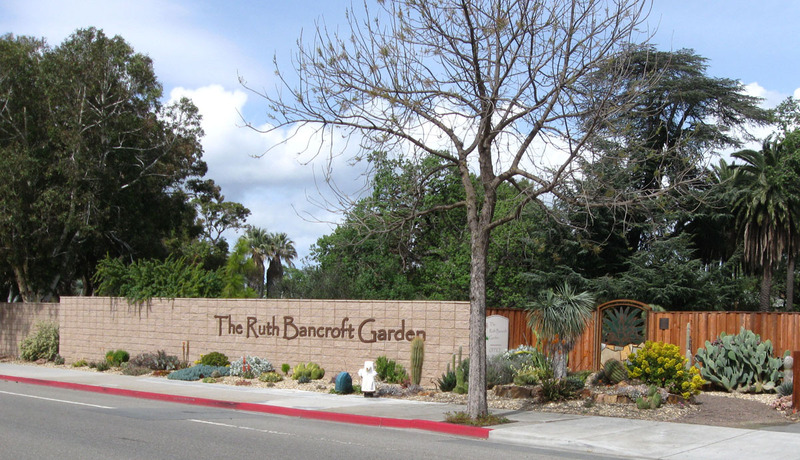 I’ve been meaning to do a long post about the Ruth Bancroft Garden in Walnut Creek, but long posts don’t seem to fit into my schedule right now, so it’ll come in a couple of parts. I visited the garden a couple of times recently, once in late March when the garden was still winterized and again two weeks later when the garden was primped up for its open house. Very cool garden. 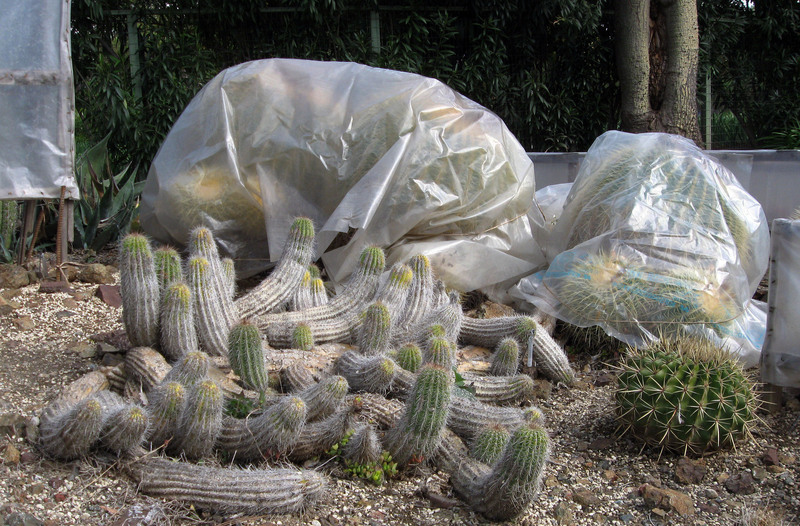 It has what’s probably the biggest collection of succulents and cactus in Northern California and it was the garden that inspired the creation of the Garden Conservancy. ‘By trial and error, Ruth discovered how to use succulents in the landscape and how to protect tender plants from winter rains and the occasional hard freeze. She created dynamic planting combinations by using contrasting textures, forms, and colors. ‘Ruth’s garden began to attract a great deal of attention from other gardeners and horticulturists. In 1988, Frank and Anne Cabot visited Ruth and were troubled to hear that there were no plans to preserve the garden. They were inspired to form the Garden Conservancy, a nonprofit dedicated to preserving significant American gardens, and The Ruth Bancroft Garden became the first preservation project of the newly formed organization. The Garden opened to the public in the early 1990s. It’s a pretty well known garden in the area and I had heard a lot about it. 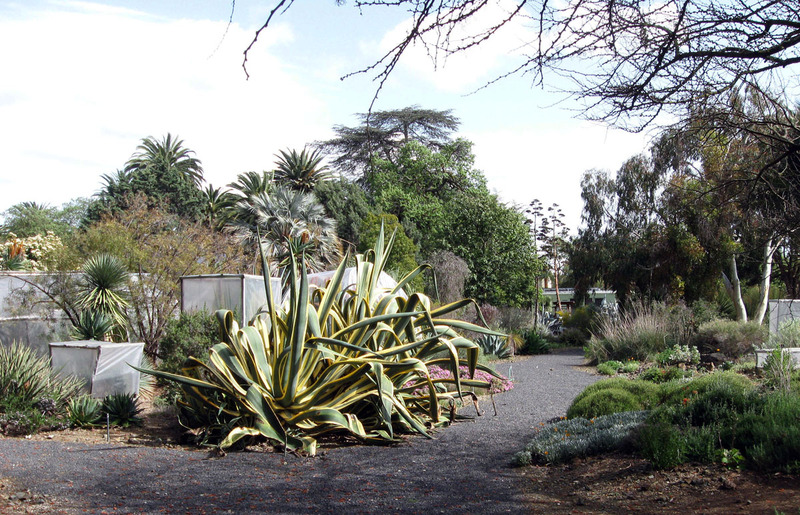 The way the Fleming garden is the Bay Area’s place to see a mature garden of natives, the Ruth Bancroft Garden is the local place to see big, mature succulents. I found it a little less impressive than I expected, but also much more funky and interesting. I was expecting something like the slick use of succulents you see from designers these days, but instead the garden has a much more organic feel, like a real garden, the creation of an obsessive gardener who would wander around with a plant in her hand trying to find a spot where there might be space and where the plant might look nice. 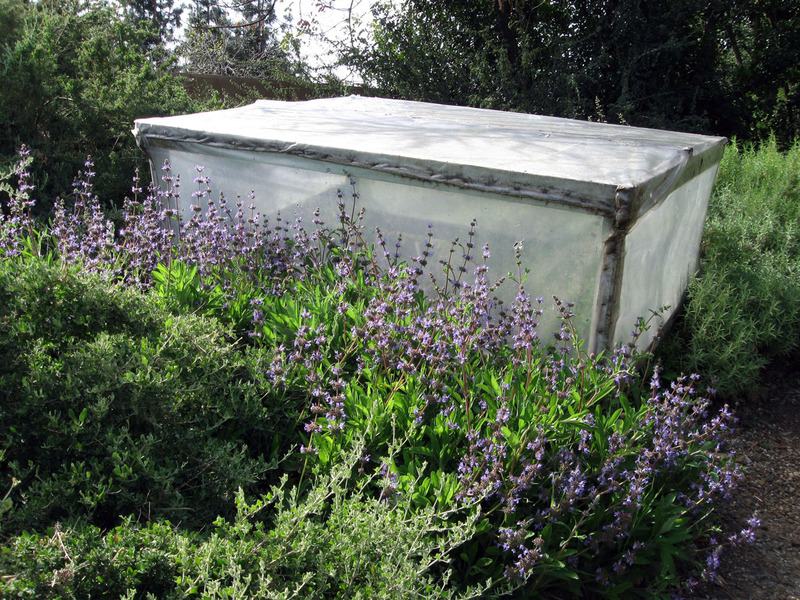 One of the interesting aspects of the garden is that many of its specimens are not hardy in Walnut Creek, so Ruth Bancroft outfitted them with homemade cold frames every winter. Apparently, it took her 5-6 weeks every year to get the garden ready for winter, and 2-3 days just to plan where the different cold frames should go. Pretty crazy. Showing the photos of the plants all wrapped in plastic feels a little like showing the garden with its hair in rollers, but I found it quite fascinating and unique to see the garden so winterized, and, actually, this is how the garden looked when the founder of the Garden Conservancy first visited the garden and felt compelled to found an organization to preserve it. In the oral history of the Bancroft garden (pretty interesting if you have the time), she expresses surprise that Cabot was so impressed with the garden while it was in winter mode, but personally I’m not surprised. 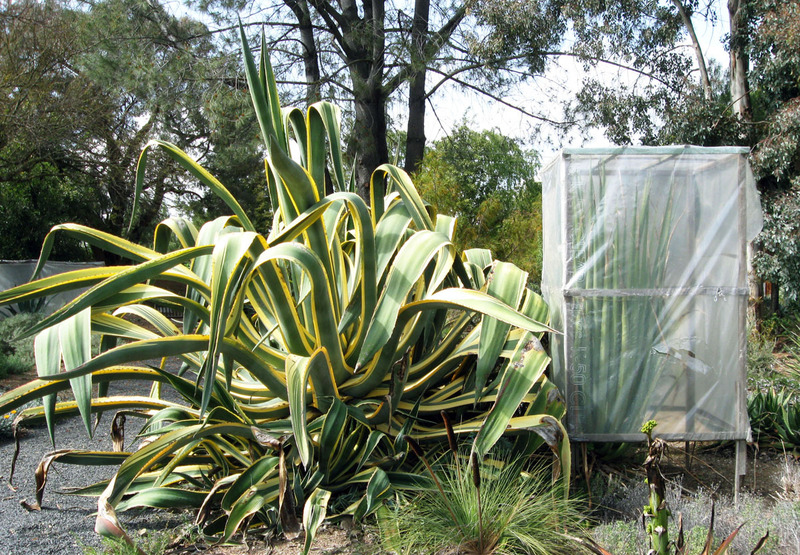 The homemade cold frames and the giant specimens and the interesting plant textures and combinations make the garden distinctive and full of personality. You walk in and immediately know there’s no other garden like it. — Update 12/13 — A few of my photos here were used in a French publication, PlantAExotica, looks like a good read for succulent lovers who speak French. This entry was posted on Wednesday, April 28th, 2010 at 11:18 pm and is filed under public gardens. You can follow any responses to this entry through the RSS 2.0 feed. You can leave a response, or trackback from your own site. What a beautiful garden. I have not seen succulents winterized since they survive our winters without that. I have noticed that the same types of succulents grow somewhat larger in cooler climates like yours as opposed to the desert. 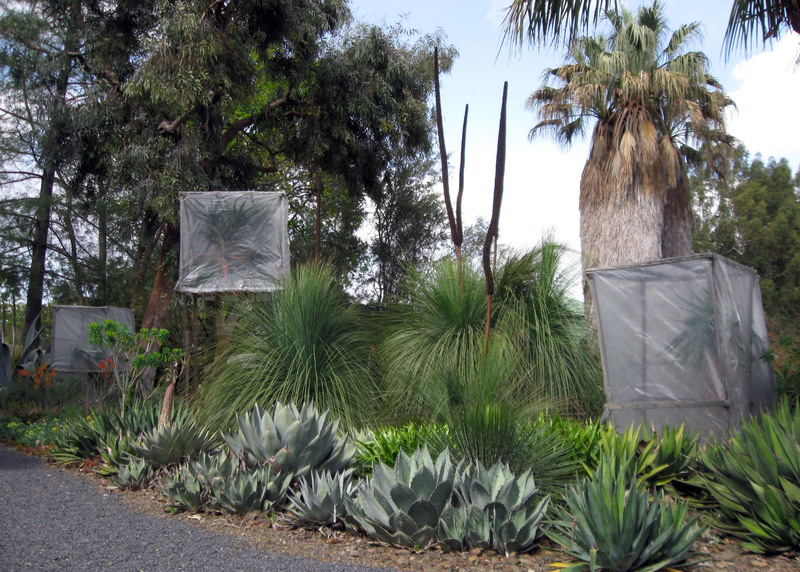 I just love the beautiful agave species in your photos. What a great post – that’s so interesting to hear about the history of succulent plants. We think we’re in the forefront of this fascinating addiction, but it’s not new. I wish I could grow all those plants outside, but sadly, where I live they would definitely not survive. Oh well, I just have to have my collection inside, even if it means that I can’t have the really nice big specimens that Ruth had. I can imagine a lot of these plants would take less effort to grow in Arizona and that they would be slower. 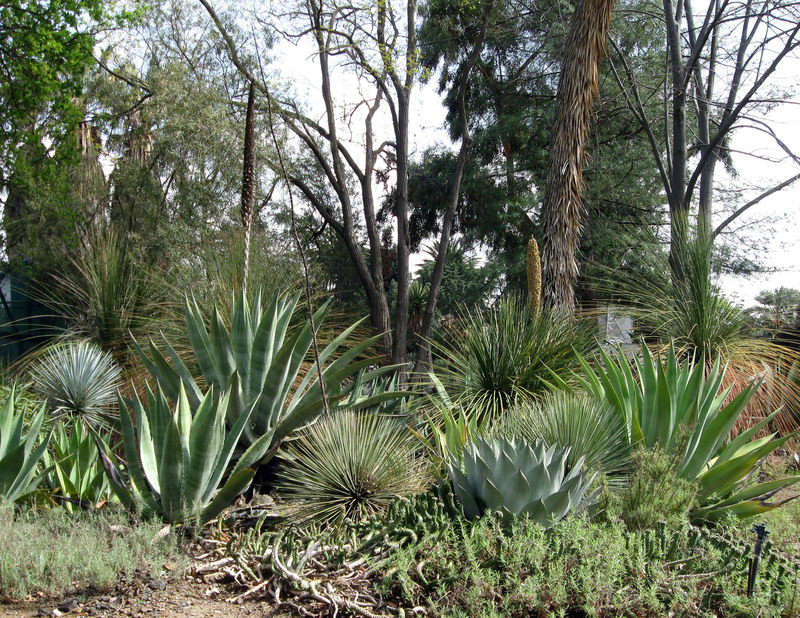 She has great agaves. She was definitely ahead of her time in her.